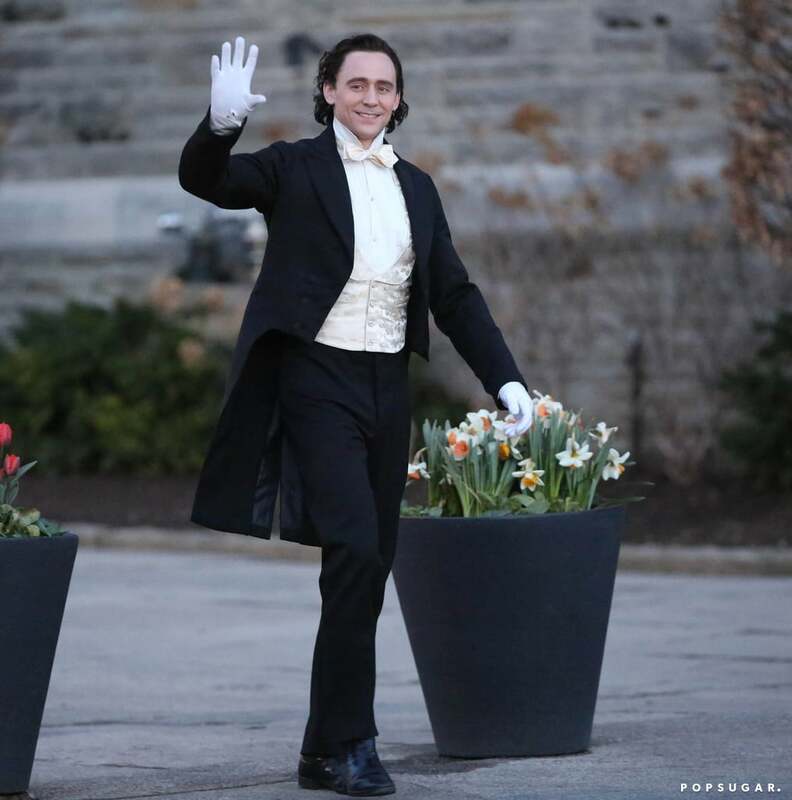 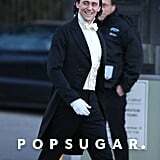 Tom Hiddleston looked as dapper as ever when he got into a white-tie costume to shoot scenes for his upcoming film, Crimson Peak, in Toronto on Wednesday. 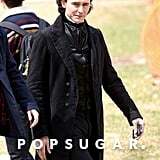 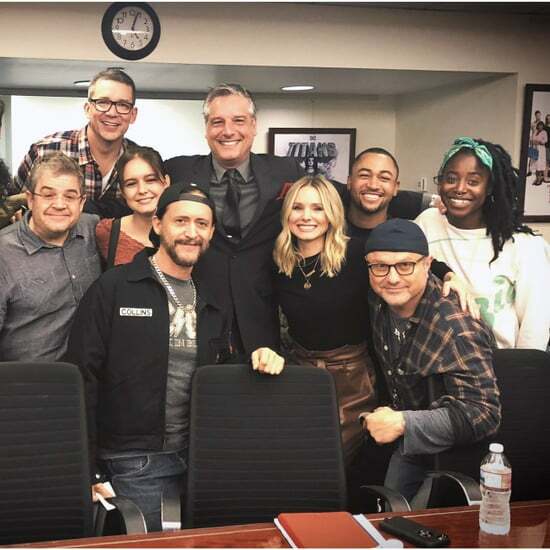 While Tom looked cheerful during his time on set this week, last week he looked more like one of his famous bad guy roles in an all-black period costume and white makeup. 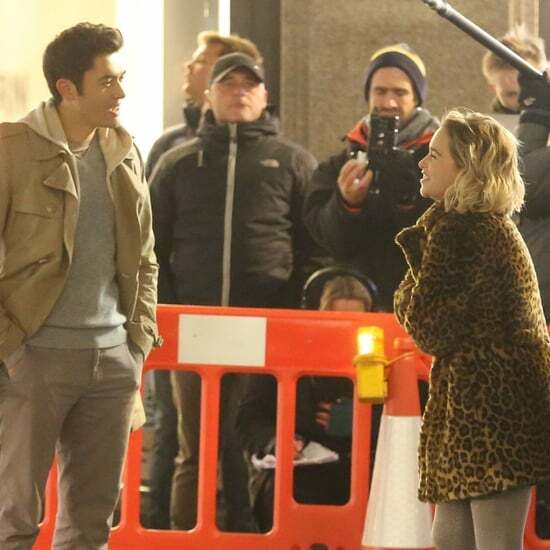 The project, which also stars Jessica Chastain and Mia Wasikowska, who was also on set with Tom, follows a young woman, played by Jessica, as she discovers that her charming husband, played by Tom, has a mysterious past. 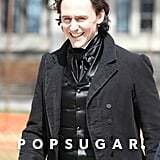 Tom has been in Toronto since at least late March, when he joined his friend and costar Jessica for her 37th birthday party in the Canadian city. 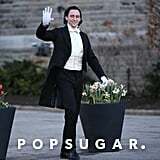 The two sang karaoke, played ping-pong, and enjoyed a big group dinner. 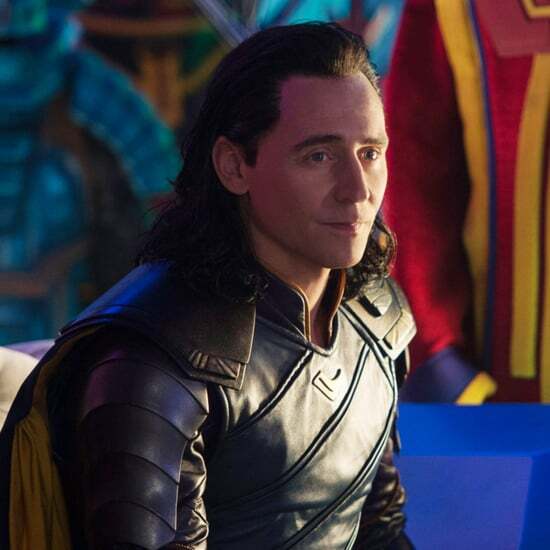 Tom, of course, is no stranger to playing raven-haired bad guys, as he shot to fame for his role as Loki in Marvel's superhero films. 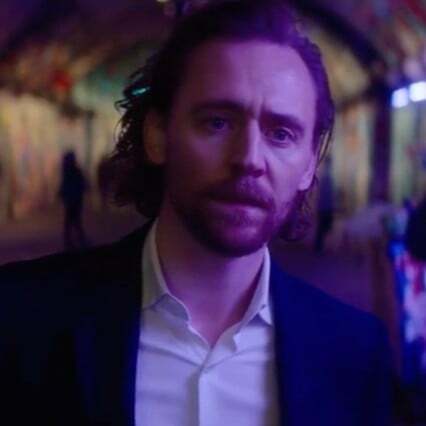 Despite Tom's onscreen bad guy persona, he still managed to win our March Man-ness competition last month, thanks to his good looks and British charm!